First of all when I say we are going to make a stone saw I’m not talking about a saw that we can cut lumber with. I am talking about a small hand held saw that can be used to cut off arrow shafts, cut a nock in an arrow, saw through a small bone, saw a notch in a fire board, etc. 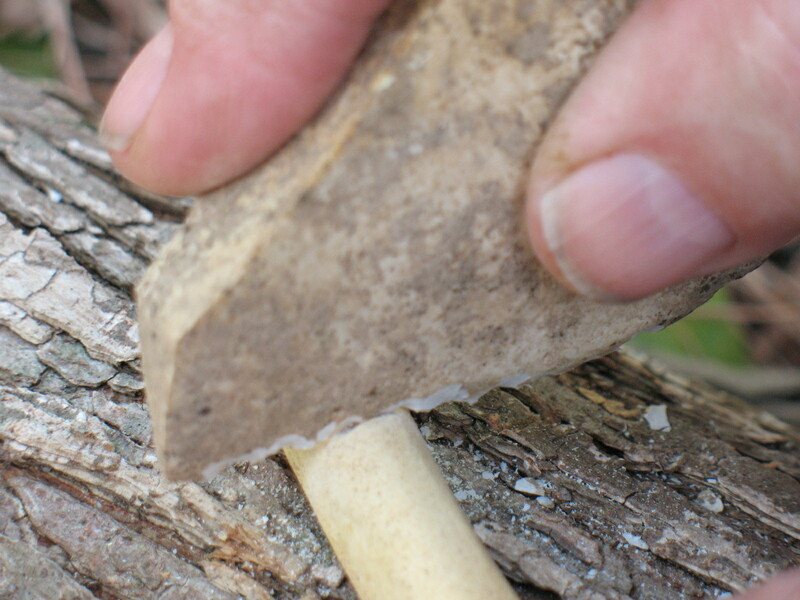 To make a stone saw you will need a flake of flint or chert and a tool for removing some smaller flakes from the large flake. 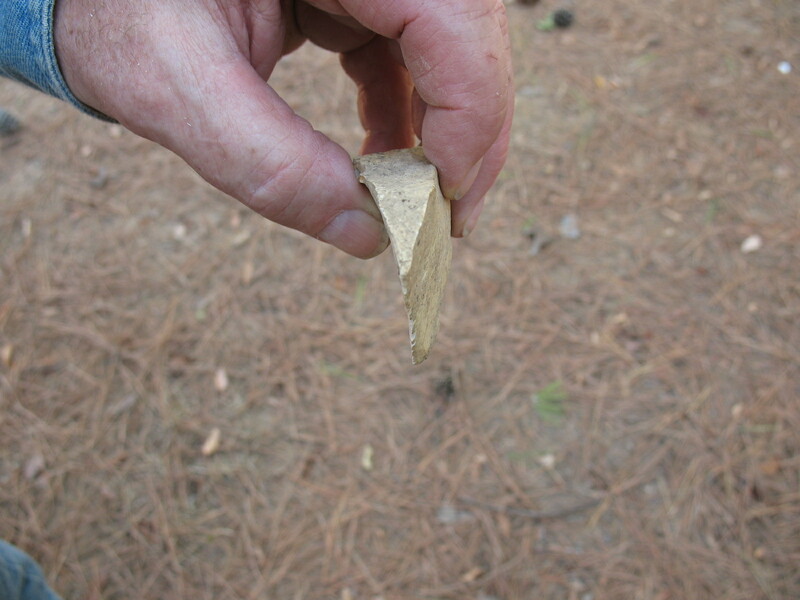 This flaking tool can be a piece of bone, a tine from a deer antler, an old nail, a screwdriver, a strong hardwood stick, or anything else that is harder than the flint and has a narrow point. 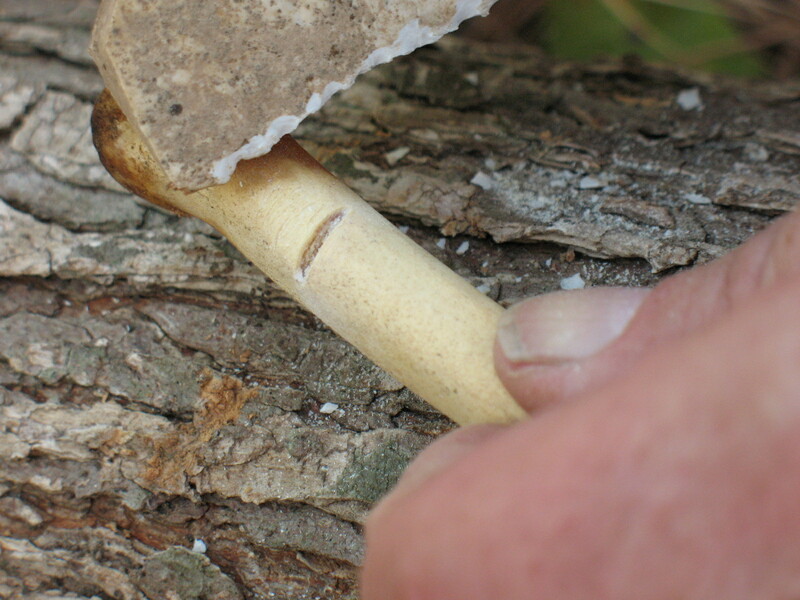 Pictured below: top, front view of flake that will become a saw; middle, side view on the same flake showing how it tapers to a good edge; bottom, flint flake and deer antler flaking tool. 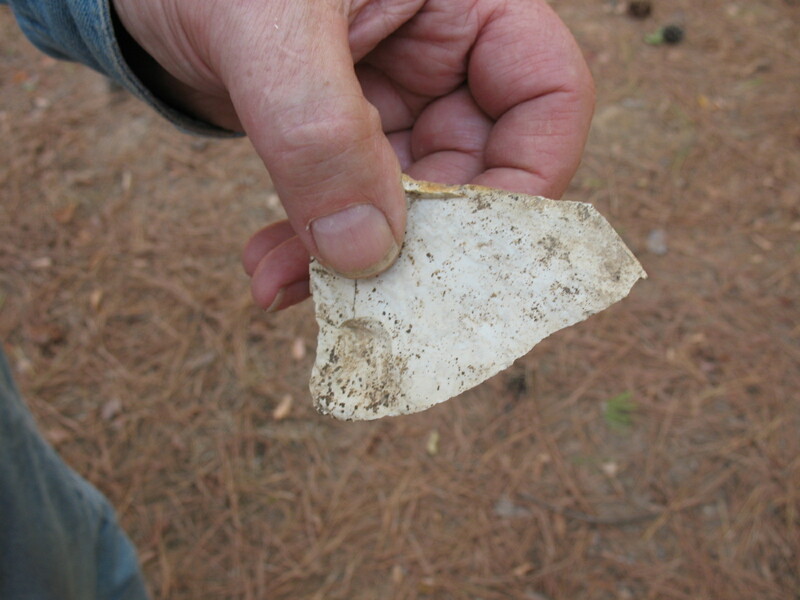 Most flint knapping is done by holding the flake to be knapped in a leather pad in the hand. 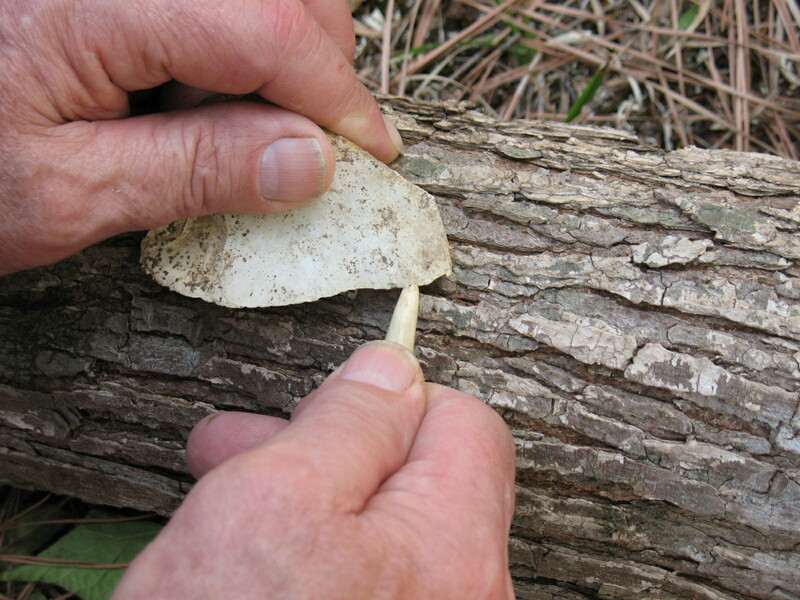 Since you are unlikely to have a leather palm pad in a survival situation, you can lay the flake down on a log and hold it in place with your fingers while removing flakes. 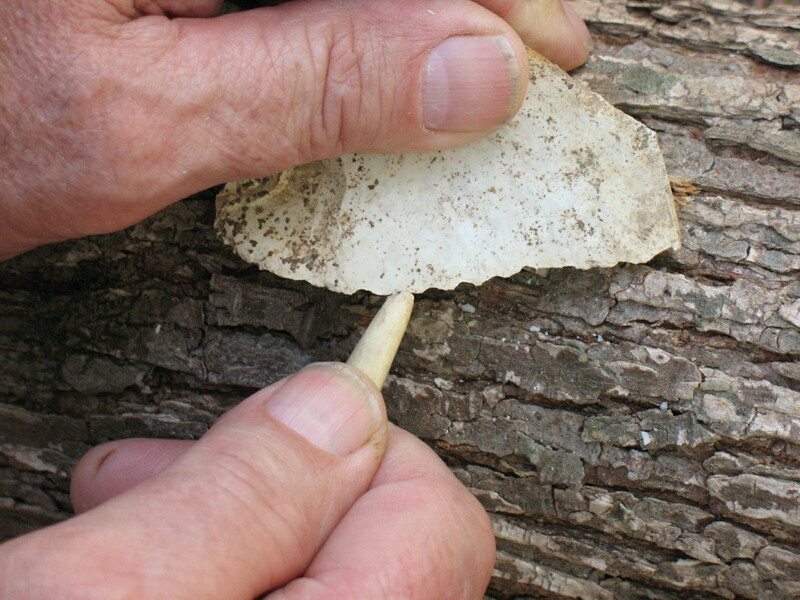 When you have the flake positioned so that you can work on it, take your knapping tool and remove a series of small flakes from the edge of the large flake. You want to skip a little space between each small flake so that you leave a series of jagged points on the edge of the large flake. These jagged points will be the teeth of your saw. 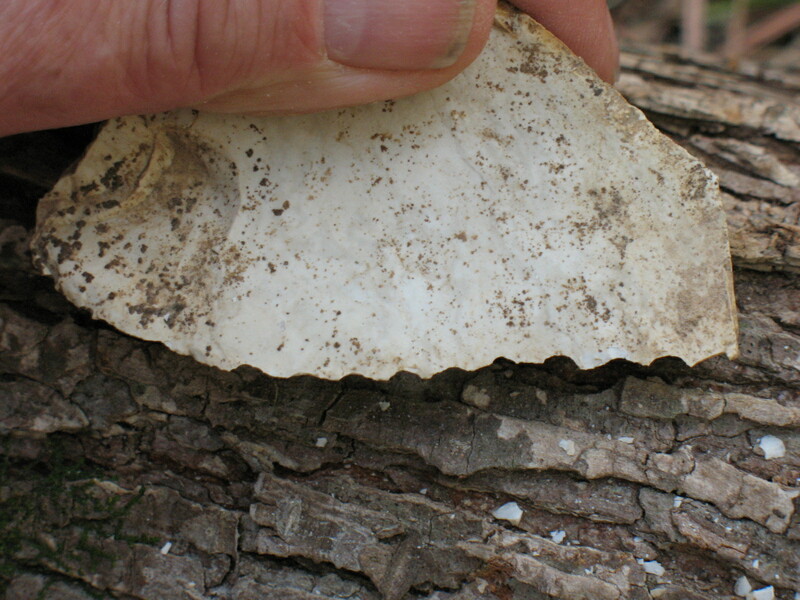 Pictured below: top, removing a series of small flakes from the edge; bottom, finished hand saw showing the jagged teeth on the edge. That’s it. You’ve just made a hand saw. 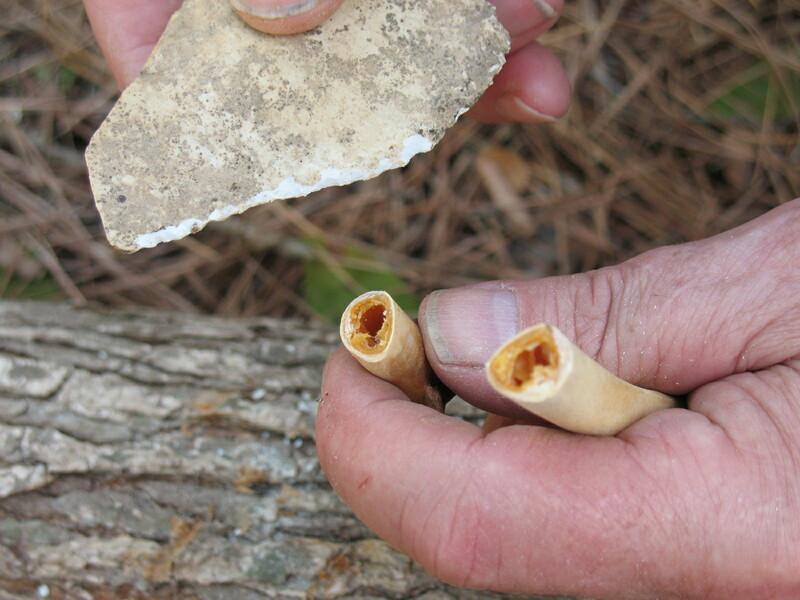 Pictured below: series of pictures showing how the hand saw can be used to cut through a turkey wing bone.